You will be greatly appreciated. We will surely solve the problem for you satisfactorily. It is fast,easy and safe.if you use e- check on paupal as we will hold your order unit your e-check clear. Estimated Arrival:March，2019. For sale is a Masters of the Universe King Randor Gold Staff. Not a reproduction. 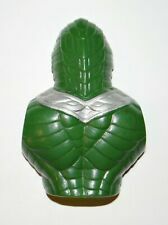 For sale is a Masters of the Universe King Randor Chest Armor. No country markings. For sale is a Masters of the Universe King Randor Chest armor & staff. Not a reproduction. I cannot guarantee the integrity of the " leather " accessories . Some of the early DiD pieces have "leather " accessories that tended to peel off. Items are new in box. Box has shelf wear. This item is sold as is. Estimated Arrival:March，2019. Size：Height about 5.5in（13.5cm ）. Explosion cloud 1. Vintage Voltron Panosh Place 1984 Haggar the Witch AND King Zarkon with Coffins in good condition. Please see pictures or ask questions as all sales are final. Shipped with USPS First Class Package. For sale is a Masters of the Universe King Randor Gold Crown. Not a reproduction. Entire set includes Goldymarg, Marg Hand interchangeable piece, two special interchangeable hand parts for Gao Gai Gar. 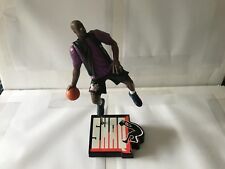 Shaq Attack - King of the Paint - Kenner, 1993. Brand new in original packaging. Sold as is. Please inspect photos before bidding. The plastic bubble is clear, dent/crack free and still firmly attached. The card-back has age/edge wear with a small tear above the top right corner of the plastic bubble. The card-back is the earlier "NEW" variant. Bit dusty and has light shelf wear. Kyo is a strong combo character that takes a while to master. RELEASE DATES ARE SUBJECT TO CHANGE AT THE MANUFACTURERS. Doing that is against U.S. and international laws. 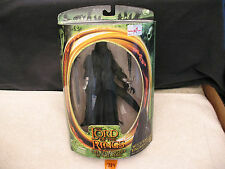 Lord of The Rings LotR Theoden King of Rohan Figure ToyBiz 2002. Condition is Used. (Look at pictures) Sold æ is! Ready to ship! Great to add to your collection!! Payment must be made within 3 days of ending listing ! Serious buyers only !!! please contact for any questions you may have,PayPal only! “DUE TO ITS AGE THE BATTERYS ARE DEAD AND ARE NOT REPLACEABLE “. One in a series of 5. Cloth doll with plastic head. 11-1/2” tall. Box may not be perfect, but item is new. Made in China. No Exceptions! It is in really good condition, minor paint and play wear. Cabinet #3 Draw #1. Original Part. We Are The Original Owners. Card Back Only Card has some wear and creasing. There is a tear at bottom of card. Masters Of The Universe vintage The Snake Men KING HISS card back 1985 Mattel.... Condition is Used. Mint On Sealed Blue Moonbox. Looking for a great read, at a cheap price?. Then look no further than the Comic Book Corner! See the pictures for more details! Using the zoom feature for the pictures will show you more detail. Lordof the Rings. Witch King Ringwraith. 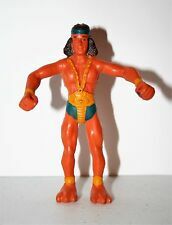 VINTAGE KING HISS MASTERS OF THE UNIVERSE ACTION FIGURE PARTS NM SHIELD + STAFF! VERY MINOR PLAY WEAR [MAY BE A LITTLE DUSTY!]. ; NEAR MINT CONDITION. Funds must clear before goods are sent.